Give your dog one of our healthy and grain-free cheesecakes for dogs or make dog cupcakes. These grain-free cheesecakes come complete with coconut crumble crust so you can have a furbaby bakery at home! These healthy treats for dogs require only hot tap water for a complete cheesecake. 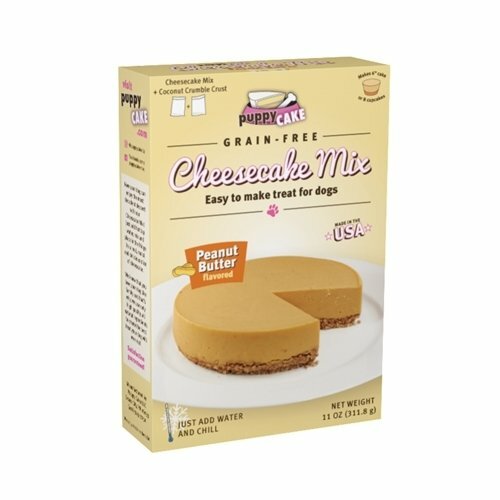 Refrigerate this cheesecake for the best dog treats your furbaby will ever eat!